This valentine's day releases an action-thriller – Gunday – starring Ranveer Singh, Arjun Kapoor, Priyanka Chopra and Irrfan Khan. Set in the period between 1971 to 1988 and in the backdrop of Kolkata (then Calcutta), Gunday primarily revolves around Bikram (Ranveer Singh) and Bala (Arjun Kapoor) who rise from being small time wagon breakers to becoming the biggest and most powerful mafia in the city. Priyanka Chopra plays a cabaret dancer and the love interest of both the lead actors. 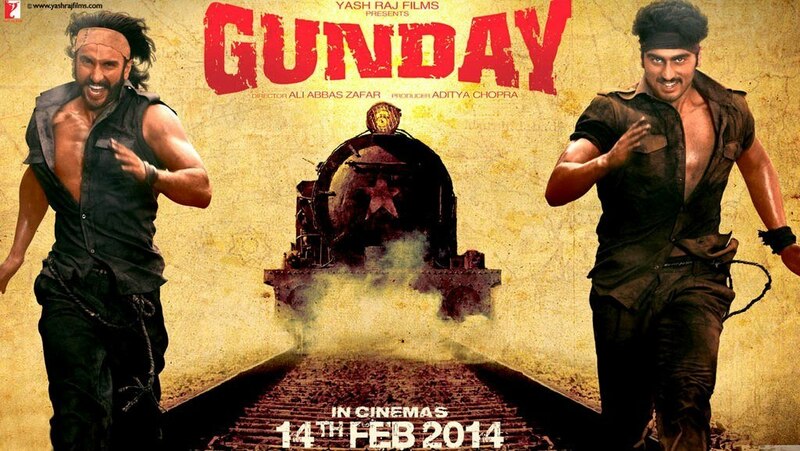 The script of this Ali Abbas Zafar's directorial venture was the last script read out to the Late Yash Chopra, hence this film holds a special significance in the hearts of the cast and crew of Gunday. Good music is an integral part of every Yash Raj film, and Gunday, too, has a couple of chart-toppers. What makes Gunday different is that the makers are also releasing it in Bengali. The release time chart of Gunday indicates a positive picture for the film, as far as the business is concerned. What else can we expect from the film? Here's an astrological perspective. Ganesha observes that the film is going to release with Pisces Ascendant. Venus and Pluto are placed in the 10th House. The Lord of the 10th House, Jupiter, is retrograde and aspects the 10th House. Moon is placed in Cancer, in Ashlesha Constellation. Mercury is retrograde, placed with Sun in the 12th House. Mars, the Lord of the 2nd House of Finance, aspects the 2nd House. Ganesha feels that Gunday is going to receive a warm welcome at the box-office. First day and first weekend's business would be very promising. However, from the 8th day, film's business is likely to decrease, as transiting Moon will be joining Mars, Rahu and Saturn in the 8th House of the release time chart. Gunday may do well overseas. Ganesha feels that this film's music would do well. The film may not be rated as one of the biggest block-busters of the year, but Ganesha foresees that it will do well at the box-office. As Saturn, Mars and Rahu are in the 4th House from Moon, there are chances of this movie being surrounded by some controversies. However, the controversies will not affect the box-office collection of the film. Ganesha wishes good luck to the cast and crew of Gunday. Is there something bothering you on the business front? If yes, don't hesitate to avail Business Ask a Question Detailed Advice and find a solution to your problem. Planning to propose your beloved? Take cues from their Sun Sign! Get your Valentine a perfect gift this 14th Feb! The turbulence in the Indian Political Scenario set to continue, aver planets.